The future of online poker in New York could now include casino gaming, according to recent reports. A hearing to determine the viability of iGaming in New York is set to take place on September 9 and the main thrust of the discussion will be a poker-only bill. However, the hearing, which is described as a meeting to 'Discuss the Future of Online Poker in New York State', could now include a discussion about casino gaming. 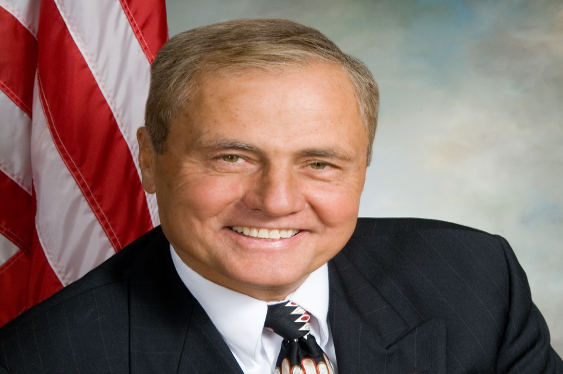 As it stands, Senator John Bonacic (above) will be the sponsor of bill (S 5302) and he will explain to a number of senior figures in New York that iGaming is a potentially lucrative industry for the state. Although iGaming in the US has struggled to live up to the expectations of some in recent years, there has been some improvement and if New York joins the economy then it could help boost the country's overall fortunes. Being one of the more high-profile states in the US, New York would not only bring millions of players into the iGaming arena but it would also raise the profile of the industry. But, a poker-only bill could be detrimental in the long-run. New Jersey has shown that iGaming can thrive if casinos are included in the legislation; in contrast, Delaware has shown that poker can struggle as an isolated entity. Next Wednesday's hearing will be streamed live via a dedicated page, which can be access by clicking here.